If you’ve travelled to Japan before, you’d realise that some of the restaurants cycle their menus according to the four seasons. This is due to certain ingredients being more readily available than others during specific parts of the years. 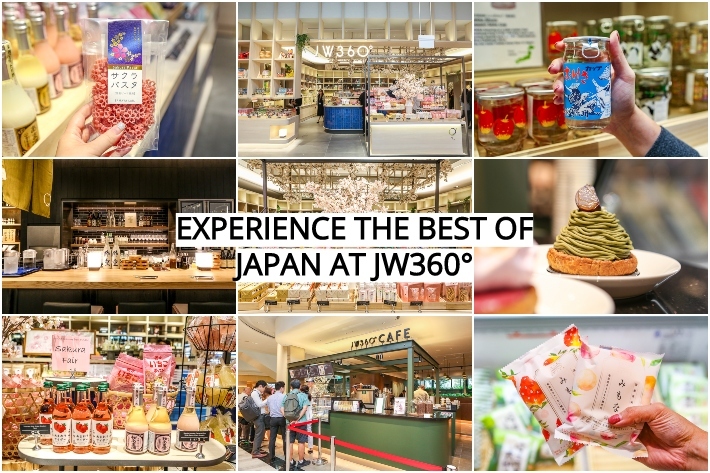 JW360°, which stands for Japan Way Three Sixty, took this season-based concept and ingeniously transplanted it to ever-summer Singapore. Occupying a 486 square meter premise that can accommodate up to 140 seated patrons, JW360° is a concept store that consists of three operating divisions: JW360° Cafe, Suju Restaurant and a retail corner called Nomono. As the focus of the store revolves around the four seasons, their menus and retail items here are switched up every few months, meaning that you will always have something new to look forward to. Out of the many places around the world, they chose to set up their first outlet at the newly opened Jewel Changi Airport as they believe that this strategic location will enable them to connect with travellers from all around the world and allow them to provide everyone with the full Japanese experience. Japanese eateries are common in Singapore; there are a plethora of them scattered all over our sunny island and their prices can range from wallet-friendly to ‘I may have to eat soya sauce and rice for the next 2 weeks’. Joining the ranks of the wallet-friendly list is Sora Boru, a brand-new Japanese dining concept in Somerset that dishes out a wide range of Japanese casual one-dish meals at incredibly affordable prices. Sora Boru is conveniently located in the heart of town at [email protected] and it is little wonder how it is already so well-received among executives who work in the area as well as students and shoppers. 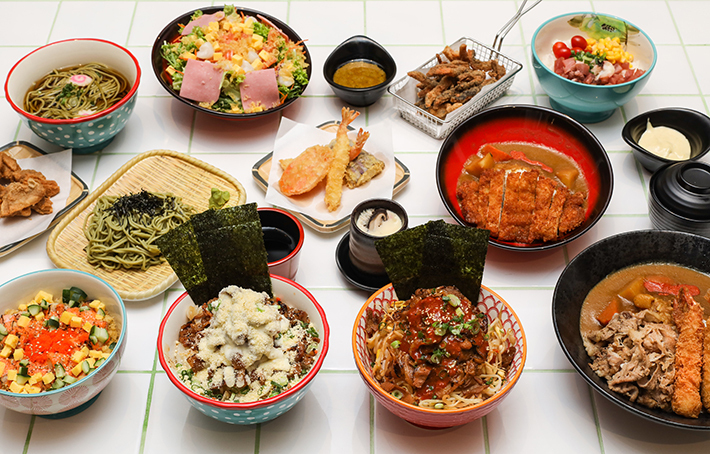 Playfully named after the way the Japanese pronounce ‘bowl’, Sora Boru’s menu includes customisable chirashi-don, curry rice bowls, soba and their signature Volcano Beef Don and Snow Beef Don. All the mains here come in regular and mini sizes—great for different people with varying appetites. 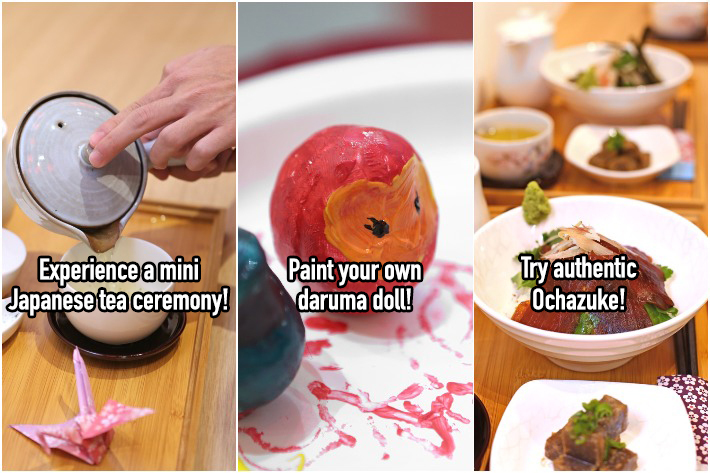 And from 17 to 30 April 2019, quote “ladyironchef” or flash this advertorial when you order any Regular main and get any Mini of your choice at Sora Boru! For the first time ever, East Japan Railway Company (JR East), one of Japan’s most notable railway companies, has come to Singapore to present an exhilarating new project in the station retail facilities of SMRT Experience. The result is an interesting multi-sensory platform “Inspiration Store” over at Orchard Xchange in Orchard MRT. Be sure to watch out for renowned artists, craftsmen, and chefs from Japan who will make special appearances to share their inspiring insights into the art they create. Every few weeks, the store will transform itself, showcasing different Japanese crafts and adoring different themes and displays. The event aims to provide an immersive experience and promote sustainability and community. The current theme for the second phase of the installation—that nicely ties in the spirit of Chinese New Year—is “Spring with Daruma”. Daruma dolls are traditional Japanese dolls that symbolise of perseverance and good luck. If you’re someone who harbours a deep fascination for Japanese culture, this is one pop-up that you really need to check out to get inspired as well as to learn a thing or two about Japan and its rich heritage. Presenting a brand-new space that boasts breathtaking view of Keppel Bay’s stunning architecture and multi-million dollar yachts along with a larger floor space that can accommodate more than 100 diners, dining at Sushi Jiro at Keppel Bay promises a multi-sensory Japanese dining experience not easily forgotten. Curated and crafted by esteemed Chef Kenji, diners get to savour a delightful mix of seasonal seafood and fish along with other premium ingredients all moulded into gorgeous masterpieces by the chef himself that will target your taste buds in ways that you’ve never experienced before. Promising wave after wave of sensorial bliss, every ingredient is handpicked and air-flown up to 4 times a week from Japan. Housing a sophisticated repertoire of signature, elegantly crafted items—both classic and contemporary—get ready to be teased by the likes of their Japanese Premium Wagyu A5 Beef Steak along with a bevvy of new creations, diners will be spoiled for choice. If you’re ever looking to indulge, go to where every single cent will count—go to Sushi Jiro Keppel Bay. 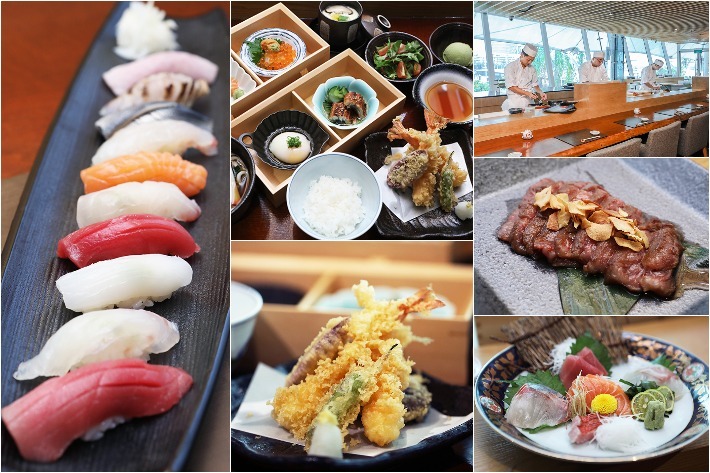 From now until 31 Jan 2019, there’s an opening promotion of 15% discount when you dine at Sushi Jiro’s new outlet at Keppel Bay. Located on the island of Shikoku, Kochi is rather out of the way for many which are what deters tourists from visiting. But what this humble area in Japan treated us to was nature in its most pristine form and its fascinating yet exciting drinking culture. Kochi is blessed with beautiful and abundant nature such as the Shimanto River, Niyodo River and the Kuroshio coastline. From clear-blue lakes to autumn leaves and silhouettes depicting a never-ending sea of mountains, Kochi truly impressed us from leaf to pebble. And when it comes to eating and drinking, these folks are anything but simple. Drinking alcohol is a huge deal here and eating good food is more of a lifestyle here rather than a necessity—something we can definitely resonate with. Bonito, a close relative of tuna and mackerel, is also hugely popular here and can be found in literally every restaurant and izakaya. We had a lovely opportunity to go on a 5D4N adventure through Kochi, seeing and experiencing all sorts of fun things, eating amazing food and even getting hands down to make our own paper and harvest our own sea salt. For the curious traveller, here are 12 reasons why Kochi has to be on your next Japan itinerary. 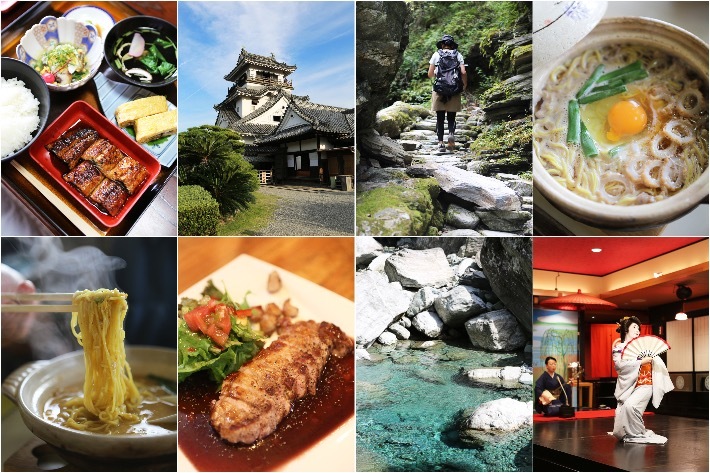 Japan astounds in more ways than just its food and its people and wherever you choose to embark on your next adventure, we’re almost certain that you will not be disappointed. Our wanderlust brought us to Niigata, a coastal prefecture located north of bustling Tokyo. A lovely place untouched by time, and one that proves excellent for road trips. Boasting the highest concentration of rice plantations and accounting for a majority of the country’s rice exports, there really is no wondering why Niigata is well-known for their excellent quality rice, rice wine (sake) and other rice-based products. Located close to the Japan Sea, fresh fish and seafood are often in abundance and of exceptional quality too. 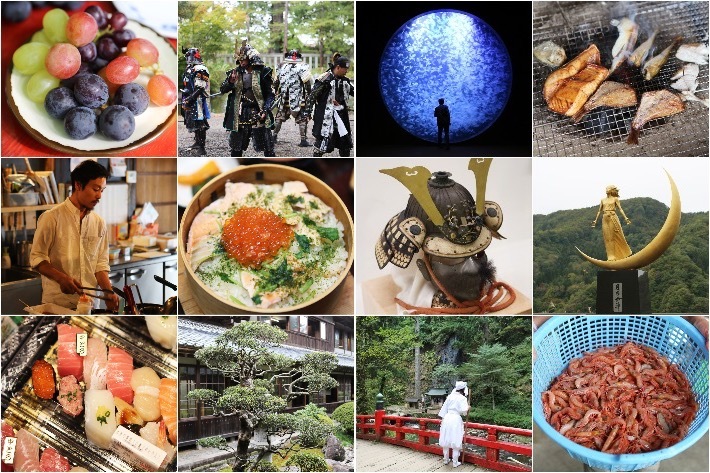 Yet, as far as gastronomy goes, Niigata’s vast array of food choices come second only to the prefecture’s rich culture and a plethora of scenic views. Like lines in a sketch, the terraced rice paddies littered all over present a view like no place else. Each season brings with it a different ambience and having visited in Autumn, we were treated to stunning spectacles of technicoloured leaves and marvellous views wherever we were brought. Brimming with breathtaking scenery, awesome food and inherently kind yet down-to-earth locals, you best believe us when we tell you that Niigata is a destination to consider if you crave adventure and new experiences. We’ve broken it all down for you, listing down how you can go about renting a car, where you should visit and what you should eat—you’re welcome. In Singapore, many of us love a good bowl of Japanese ramen soup and udon. However, there aren’t many places here that serve up Maze-soba. Maze-soba, when directly translated to English, literally means “mixed noodles”. It is essentially dry, broth-less ramen topped with an abundance of goodies. When mixed together, it creates a unique blend of flavours that you’ll keep craving for even after you’ve polished off the entire bowl. Sounds great, doesn’t it? 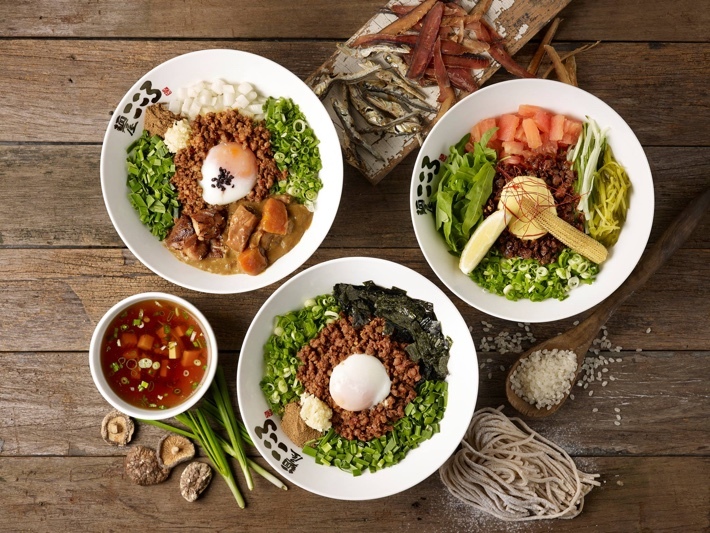 And that is why we were so excited to hear that Japan’s most popular Maze-soba chain, Menya Kokoro, has finally landed in Singapore, and they have opened their first outlet at Suntec City Level 3.